March 17, 2013: Students, parents and staff of Holyoke Community Charter School marched alongside 15,000 marchers in Holyoke's St. Patrick's Day parade. 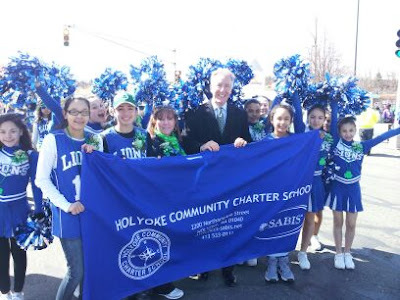 Holyoke Community's Cheerleaders, Basketball Teams, Student Prefects and the Parent Connection Executive Committee proudly represented the charter school, which has become an integral member of the community. Congressman Richard E. Neal greeted Holyoke Community's students and families. 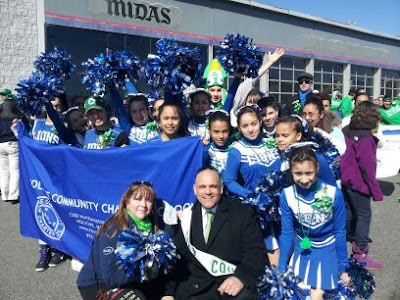 State Representative Aaron Vega, a firm believer of education, also greeted students, with the school's cheerleaders returning the greetings with an enthusiastic cheer for Mr. Vega. Ward 2 Councilor and Chairman of the City Council, Mr. Anthony Soto, also greeted the Holyoke Community Charter School Family! 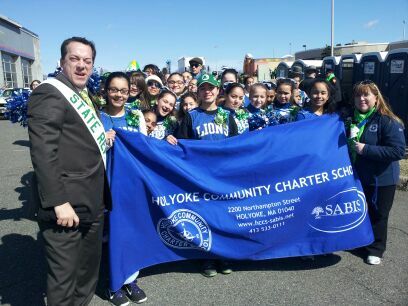 "I want to give a special thanks to Mrs. Gloria Urbina for being the photographer and for all the caring and long hours of work as Holyoke Community's Parent Liaison," said Dr. Sonia Pope, School Director. 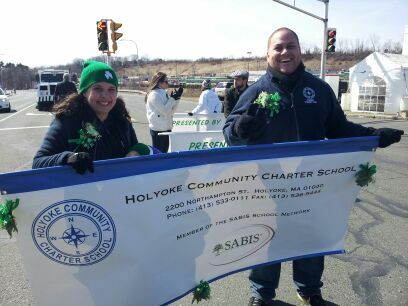 "I also was to thank Rigoberto, Parent Connection President, and Irisneli an outstanding member for all of their support." 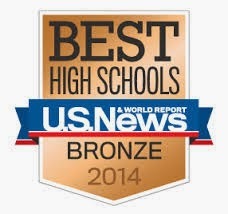 "Outstanding job!"